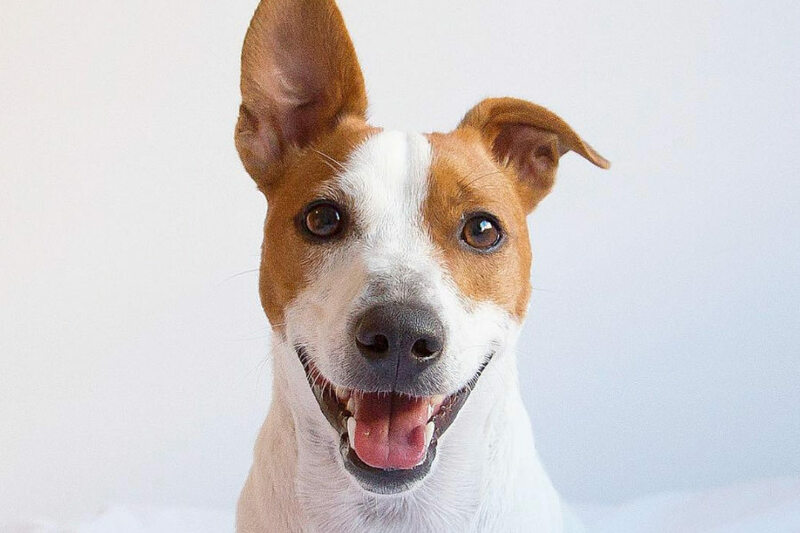 Jack Russell Terrier - helloBARK! You’ve probably encountered at least one Jack Russell Terrier in your life. Developed in England almost 200 years ago, this breed is relatively common. However, they can often be confused for Parson Russell Terrier and Russell Terrier. Their origins are in fox hunting, with their small frames ideal for following scents. They have developed into family dogs, with their stature perfect for those with limited space at home. Jack Russell Terrier do require a lot of exercise, so daily walks are an absolute must with this breed. Some of their many talents include: hunting, tracking, agility, and performing tricks. Why were Jack Russell Terriers bred? Let’s take a brief look at the history of Jack Russells, which is remarkably complex for such a common dog. Jack Russell Terriers are thought to be descendants of the now extinct white English Terrier. These small dogs were first bred in the 19th century by Reverend John Russell. He bought a small white and tan dog called Trump, who was used to help bolt foxes out of their burrows. Given his love for Trump and her characteristics, Russell decided to base a breeding program around Trump – and so began the Jack Russell Terrier. It is important to note that Russell looked to temper the breed’s aggressiveness, as he wanted his Jack Russell Terriers to hunt a fox but never physically harm it. The Jack Russell Terrier was included as one of the founding members of the The Fox Terrier Club when it was formed in 1875. A man by the name of Arthur Blake Heinemann created the first breed standard in the late 1890s. He looked to develop the breed from fox hunters into badger diggers. It is thought Bull Terrier stock was introduced into the breed to shorten their legs to help them dig into badger dens. Following World War II, the breed suffered a decline due to the decrease in interest in hunting dogs. A number of clubs were created in United Kingdom and United States in 1970s, which helped to raise the profile of the breed. The American Kennel Club recognised the Jack Russell Terrier but changed it to the Parsons Russell Terrier in 2001. The Russell Terrier and Parsons Terrier are both recognised by the AKC, but the Jack Russell Terrier still isn’t. Wikipedia says that “the Australian National Kennel Council (ANKC) and the New Zealand Kennel Club (NZCK) are some of national kennel associations that register both the Jack Russell terrier and the Parson Russell terrier”. As of 2016, the Kennel Club (England) announced that the Jack Russell Terrior would be a recongised breed. 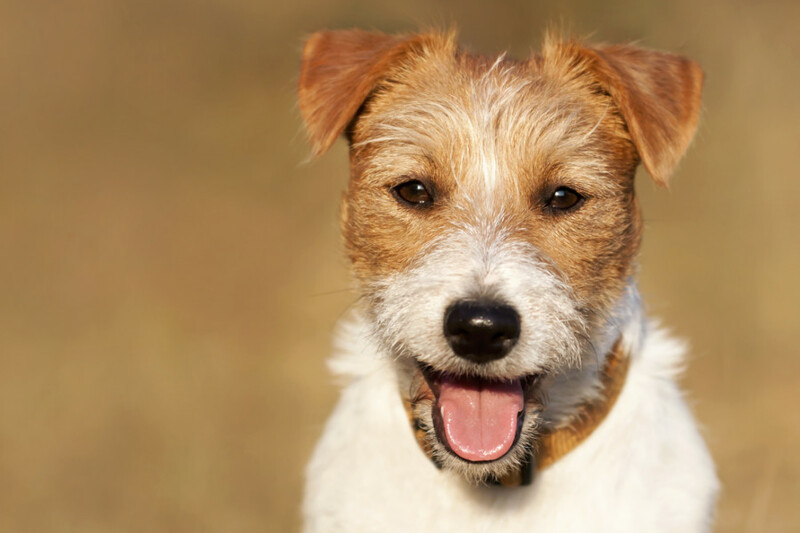 What breeds were used to create Jack Russell Terrier? The Jack Russell Terrier is often confused for a number of different terrier breeds. They are direct descendants of the English White Terrier. Jack Russell Terriers are cousins of the Parson Terrier. The Russell Terrier is a shorter version of the Jack Russell Terrier. These dogs are long rather than tall. They should measure between 10–15 inches (25–38 cm) at the withers and weigh 14–18 pounds (6.4–8.2 kg). Jack Russell Terriers have short legs and a slightly elongated snout. They have a black nose and lips. They have strong leg muscles, vital for badger digging. Their coat is either short and dense, or long and rough. Jack Russell Terriers are white with black, brown or tan markings on their coat. Parson Terriers can have a longer head and larger chest than Jack Russell Terriers. They fall within the same range as Parson Terriers measure between 12-14 inches (25-38 cm) at the withers and weigh between 13-17 pounds (5.9-7.7kg). Do Jack Russell Terriers make good pets? Unsurprisingly given their cute appearance and small size, the Jack Russell Terrier is a very popular breed. They make good watch dogs and will alert their owners to noises in and outside the home. Given their heritage as hunting dogs, they do like to dig and can cause destruction in the garden. They are high energy levels so have a reputation for doing well with active families. Jack Russell Terriers do need socialisation from a young age to prevent any issues with children. Of course, you should never leave a small child alone with any dog. Do Jack Russell Terriers get along with cats? These dogs were bred to hunt so might not do well in households with other small animals such as cats or rabbits. Given this trait was brend into them for centuries, it is understandable that a JRT and a cat coexisting in the same household could be tricky. While you may have a better chance if Jack Russell is introduced to the family cat at a young age, there is no guarantee that this method will prove a success. 3) Never ever leave them alone, unsupervised (indoors or out). There are a couple of testimonials on their website to emphasise that this breed can never be trusted alone with cats (or other small pets), which really do serve to hammer home their point. Are Jack Russells good family pets? Another consideration with this breed is they can become very possessive of their owner or other members of the family that they view as their favourite. Alternatively, they can also be possessive over what they believe to be their personal property, such as toys and food. If such instances occur, experts say possessive behaviour needs to be controlled from a very young age to prevent it becoming a headache for owners further down the line. While Jack Russell Terriers do make good family pets, they do much better in homes with older children. According to Dogs 101, they are not suitable pets for homes with children under the age of six. They do best with kids who are able to understand how to handle these energetic and sometimes rambunctious dogs. Are Jack Russell Terrier aggressive? The breed do have a stigma for being occasionally aggressive towards other dogs. However, socialisation as a puppy and throughout their adult lives can help to improve their attitude towards other pooches. Lots of exercise can help to resolve the issue as a tired dog is usually a happy dog. According to Jack Russell Terrier Club of America, aggression could be the result of due to a lack of companionship, discipline, activity and exercise. They go on to suggest one technique that could prove useful is to squirt the terrier in the face with water whenever he growled at other dogs without scolding. helloBARK! recommends contacting an experienced dog trainer to help with an aggression problem. 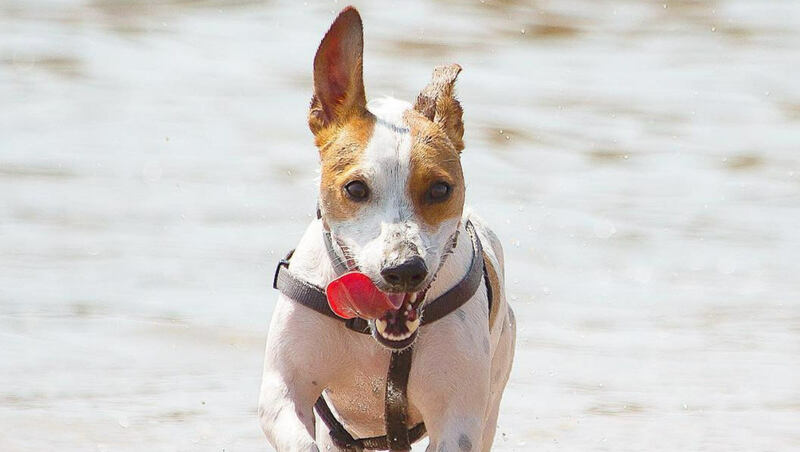 Are Jack Russell Terriers intelligent? The Jack Russell Terrier is a highly intelligent dog. As a result, they need constant stimulation to avoid the breed becoming destructive in the house or in the garden. JRTCA advice that a Jack Russells can be very destructive if left unattended and unemployed. As a result, owners of these dogs are urged to continue to test the limits of their terriers to keep them busy. Their intelligence isn’t a negative – though. Jack Russell Terrier are quick learners and can be easy to train if your start at puppy age. Their intelligence means they can be taught a number of tricks. While they are very smart, their attention span can be short so you will need to keep them motivated with some treats or their favourite toys. Are Jack Russell Terriers loyal? Simply put, Jack Russells are very loyal to their owners. It is known feature of the breed given they value human companionship. If you train your Jack Russell from an early age, you could have a devoted and well-behaved pup on your hands. Are Jack Russells good apartment dogs? On paper, JRT would be better suited to medium sized dwelling. These dogs have a lot of energy, so they could struggle in an apartment. Their high intelligence and prey drive mean they can get up to a lot of no good in a small space. Having said that, if you live in an apartment and are prepared to exercise your dogs on a regular basis, it could help to curb someone of those instinctive tendencies. 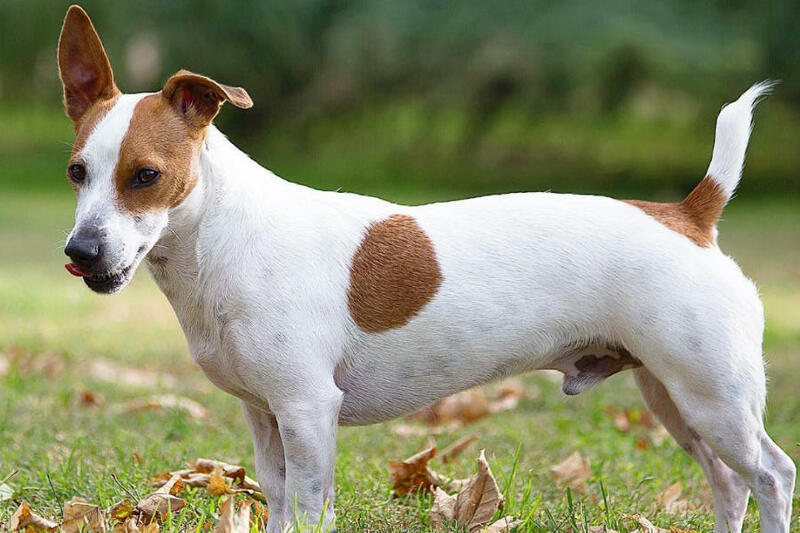 Ultimately, whether a Jack Russell is suitable pet for an apartment depends on the lifestyle of its owner and how much time they can dedicate to this small hunting dog. How much exercise do Jack Russells need? As you probably know by now, this breed do need a lot of exercise. The rumours are true – they do live up to their reputation for being a crazy and hyper dog. They love to jump, bark, run in circles and bite things. This is all very well if it is at the dog park, but you don’t want these characteristics to come out at the home. Experts recommend giving the Jack Russell Terrier at least an hour of exercise every day, especially if you live in a small home such as an apartment dog. What health problems do Jack Russell Terrier have? Jack Russell Terriers don’t have too many health issues. Generally, they are a relatively healthy breed. However, these small dogs are susceptible to certain health conditions, which is the case with all breeds. Jack Russells can have a particular issue with their hearing and sight, with some of these conditions inherited. Lens Luxation – One of the many eye problems that have been known to affect Jack Russell Terriers is dislocation of their lens. When the lens capsule inside the eye becomes detached from the tiny ligaments that hold the lens in place, it can lead to a blockage of the normal drainage channels. This could occur in one or both eyes. The disease is inherited. Lens Luxation can be treated by eye drops or surgery is a possible option. Cataract – This occurs when the lens opacity obscures vision and could eventually lead to blindness. If cataracts is caught in the early stages, a a veterinary ophthalmologist can treat the condition which in turn should result in a positive outcome. Ear problems – These Terriers can suffer from ear infections. If your Jack Russell is shaking his head a lot or scratching his head often, it could be a sign of an ear infection. Unilateral Deafness and Bilateral Deafness are other issues that have been known to affect Jack Russells. Gum disease – It is a good idea to frequently check a Jack Russell’s gums and teeth to ensure everything is looking healthy. Gum disease becomes a problem when a tooth’s deep supporting structures become inflamed. This is the direct result of food, bacteria and minerals building up along the gum line, resulting in tartar. Obesity – The breed are active dogs and require a lot of exercise. As mentioned above, their bodies should be long and lean. They need a balanced and healthy diet to prevent Jack Russells from becoming overweight. Tracheal collapse – This condition is quite common in small dogs such as Jack Russell Terriers. It is the improper formation of the cartilaginous rings of the trachea, which can result in mild to severe breathing problems. How long do Jack Russell Terrier live? The breed tend to have long and healthy lives. Jack Russell Terriers have a life expectancy of between 13 and 15 years. A healthy Jack Russell Terrier could live to 16 or even longer. How much does a Jack Russell Terrier cost? Like all breeds, the cost of a Jack Russell all depends on each individual breeder. They tend to vary in price between $500 to $1000. helloBARK! recommends doing thorough research on Jack Russell Terrier breeders before committing to buying one of these dogs. Usually, most respected breeders will ask you to fill out a questionnaire before placing you on a waiting list. Avoid using generic websites that purport to sell pedigree JRTs. Where is Jack Russell Terrier rescue USA? Russell Rescue and Jacks Galore Rescue are two organisations that help to find home for rescue JRTs in the United States. While they are not affiliated with JRTCA, the association does recommend these two rescue organisations on their website. Where is Jack Russell Terrier rescue UK? Jack Russell Terrier rescue UK have foster homes all around the country with dogs available for adoption. These areas include Wales, North London, Essex, Hertfordshire, Kent, Cheshire and West Yorkshire. Perhaps the most famous of all Jack Russell Terriers first appeared on our television screens in the early 1990s. Eddie was the beloved JRT of Marty Crane in hit Seattle-based comedy show Frasier. The breed became a big hit with fans of the show around the world with his near perfect behaviour. Jack Russell Terriers can jump five times their height, a characteristic that Eddie regularly displayed in Frasier’s kitchen. Eddie was played by a dog called Moose and then his son Enzo in the American sitcom. Another famous JRT is Uggie, who featured in Oscar-winning film The Artist in 2011. Of course we can’t forget Trump, Reverend John Russell’s dog who was the founding member of the breed. Jack Russells that are well trained and given regular exercise, they can be a great companion. They are big thinkers and like to try and stay one step ahead of their owners. If these dogs don’t deplete their high energy levels, they can be difficult to handle. But as long as you can devote sufficient time to your dog both in terms of attention and exercise, they do well in most environments, including apartments.